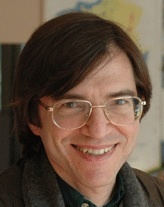 Mark Anspach is an American anthropologist and social theorist based in Europe. He is the author of Vengeance in Reverse and the editor of Oedipus Unbound, a collection of essays by René Girard. He has contributed to many collective works, from Violence and the Sacred in the Modern World (1992) to Religion, History and Place in the Origin of Settled Life (2018). He has also written or edited a number of books in French, including À charge de revanche: Figures élémentaires de la réciprocité, which was translated in Italy, Brazil, and Japan. Altogether, his books and shorter writings have appeared in nine languages. Mark first studied social theory at Harvard, where he served as Political Editor of The Harvard Crimson. He went on to earn a PhD in French from Stanford and a doctorate in anthropology from the School for Advanced Studies in the Social Sciences in Paris. He is currently affiliated with the LIAS research team at the Marcel Mauss Institute in Paris.